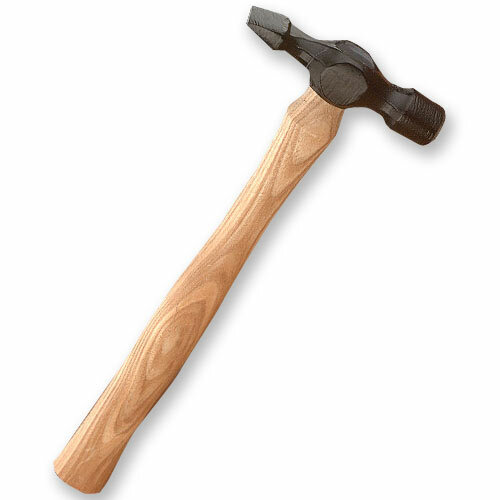 Hammers & Mallets - Crown #550 Pin Hammer - 3.5 oz. This 3.5 oz. Pin Hammer by Crown is the smallest of the Warrington type hammers. Sized to give you perfect control in tapping home very fine fasteners. The wedge shaped peined end is made narrow so fasteners can be held between thumb and fore-finger and be started with less chance of smashing either.